Printing machines are one of the oldest inventions in the world. However, these machines have evolved a great deal today, allowing us to have smaller sized printers even in the smallest of rooms. Older printing machines would take up entire buildings, but that’s not the case today. While you might have heard of portable printing machines that can be placed on your desk, the advent of mobile technology has forced manufacturers to think different. This is where wireless printers come into the equation. These devices let you print stuff directly from your mobile phones without requiring cables of any sort. This entire experience makes for a thoroughly enjoyable experience for all. Keep in mind that wireless printers are available in abundance right now, which makes it important for the users to pick the best ones. Keeping this in mind, we’re going to talk about a few wireless printers today, aimed at making your lives easier. We are covering multiple brands here to give you a better look at the kind of options available right now. Most modern day wireless printers should be able to print snappy photos in addition to standard documents. The Canon Pixma iP110 does that exceedingly well. It has been in the industry for quite some time now, so it’s not particularly new by any means. But that doesn’t take away the kind of features it offers out of the box. 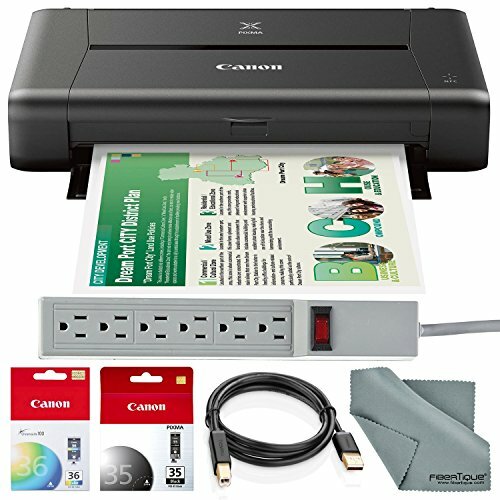 Canon remains one of the top printer manufacturers in the world along with HP, so it’s only fair that the company is known for a product like this. 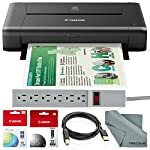 If you don’t need to print wirelessly all the time, you can even hook it up to a PC to save battery life and get more prints out of the device. It can print both black-and-white and color documents. Although it can only take up to 50 sheets at a time, the fact that it can print 240 sheets wirelessly is pretty amazing. If you’re on the road and want to get a few documents printed, it’s as easy as opening up the file from your mobile and printing it right away wirelessly. The company offers the PRINT application on the Play Store to connect to Android smartphones. The Pixma iP110 will set you back by $155 on Amazon right now, which is pretty decent considering the kind of features it offers by default. This, again, isn’t a new printer by any means, but still gets the job done pretty well. 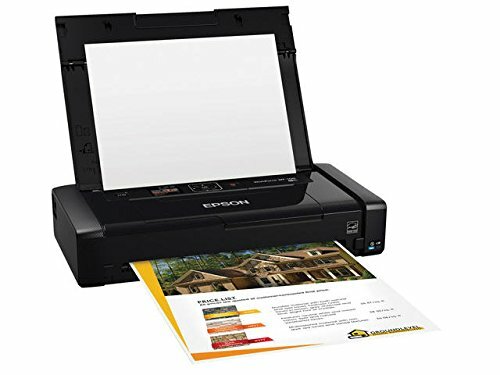 Coming from yet another popular printer manufacturer, the WorkForce WF-100 is a decent wireless printer that can come in handy when you are in a rush to print up some photos or documents. It also comes with a 1.4-inch LCD panel, which will have to be used for setting up the printer when you first operate it. It’s relatively small and hard to manage, but for something that offers portability, this is pretty decent. The printer can handle 20 pages at once, and is capable of printing 100 black-and-white pages and 50 color pages in one battery cycle. The company also offers separate cartridges for B&W and color printing. The batter is rechargeable via USB, though, which means you can conveniently hook it up to a power adapter or even a power bank if you need to charge it up real quick. We’re not sure about the power output required by the printer, though, so we suggest checking with the manufacturer beforehand. It’s extremely portable, which makes it pretty easy to carry around. This particular printer will set you back by $198.97 on Amazon. This particular offering helps you print your photos within seconds. This is perhaps why it’s been named Selphy, so as to make sure your selfies are recorded in no time. It can print borderless 4×6 photos, but you will have to stack up on papers beforehand. 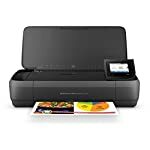 This particular printer is designed specifically for photos, so if you have documents to print, you might want to check out the other offerings we’ve talked about. The printer only takes 47 seconds to print a photograph, which sounds like a lot of time, but it’s frankly pretty amazing for a wireless printer. Let’s say you’ve been on a vacation recently and want to print some of the photos you took. It’s as simple as firing up the printer and tapping print from your phone. The printer is Wi-Fi compatible as well, which is how most wireless printers work. The prints captured by the Selphy are water-resistant and come with a life of 100 years. The printer can print 54 photos on a single charge, so you’re well covered for a short trip. The Selphy ink and paper kit comes in three sizes – 18, 36, and 54 photos. This means you will get the exact number of photos mentioned by the company and there won’t be any wastage or left over ink to deal with. 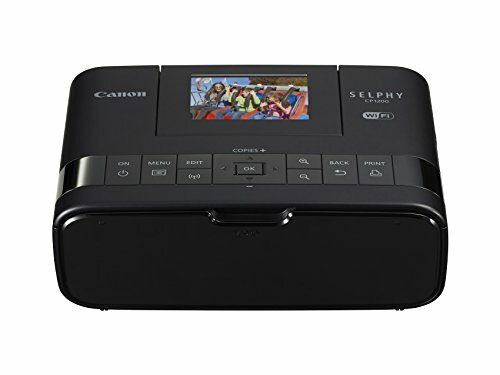 The Canon Selphy will set you back by $99 and is easily the best pick for a wireless photo printer. 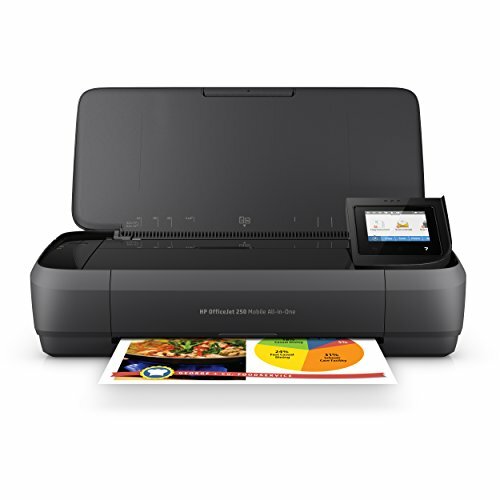 One of HP’s popular wireless printers, the OfficeJet 250 offers a wide range of functions in its slender exterior. The printer comes with the ability to fax and scanning as well, making it a favorite for office usage. It comes with a B&W cartridge which is good for about 200 prints. The company also sells an XL version of its cartridges which can comfortably last 600 pages. The ePrint app available on the Play Store makes it easy to print documents from your Android smartphone on the go. The addition of these features go a long way in making this one of the best wireless printers on this list. It might not be suited for everyone, but if you’re looking for an all-in-one printer, you can’t do much better than the HP OfficeJet 250. The printer and the XL Ink bundle will set you back by $375.96. Yet another compact HP printer on this list, the DeskJet 3755 is a desirable option for those looking for a small home printer. It helps you save up to 50% on conventional ink costs, which makes this an instant favorite in our books. 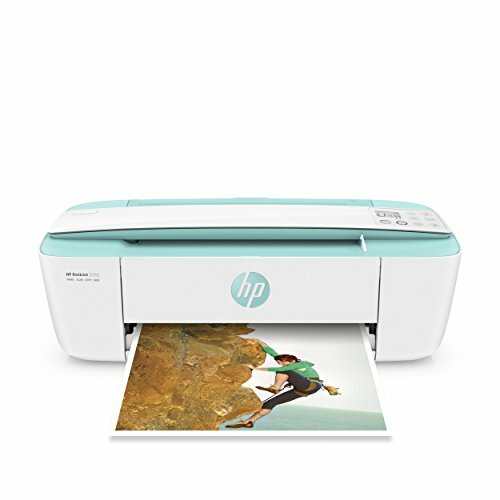 The best feature here is the ability to connect to the printer even in the absence of Wi-Fi using the HP reprint application. Its not as compact as other portable printers, but it is ideally suited to carry around while traveling. It will set you back by just $59.99 making it the cheapest offering on this list.